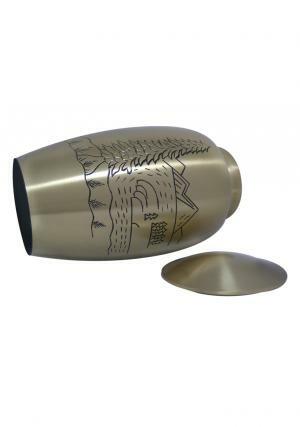 Mountain Scene Brass Adult Urn is presented with pewter finish and engravings of hand. 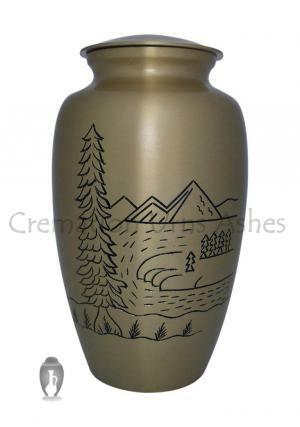 The sketch on urn has a beautiful scene with open mountains, forest tree and floating river which derives as the destination of paradise to be reached. 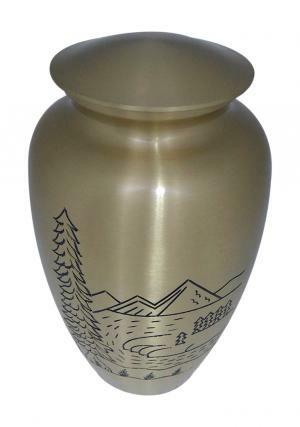 Huge Adult Simple engraved brass pewter cremation urn with flat decorated simple lid in screw threading to protect the top of the urn after insertion of ashes. 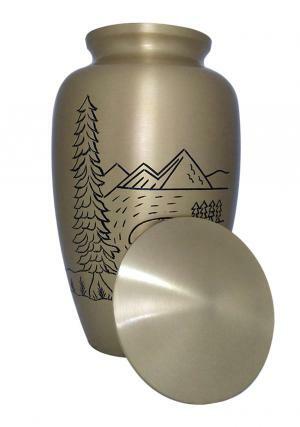 Mountain Scene Brass Adult Urn is capable of carrying 200 cubic inch of adult ashes approximately. 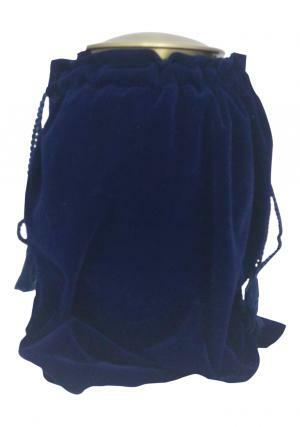 Large Brass Cremation Urn for ashes is measured to stand 10.14 inch tall, width of 6.1 inch and weighs 2.05 kg in empty.